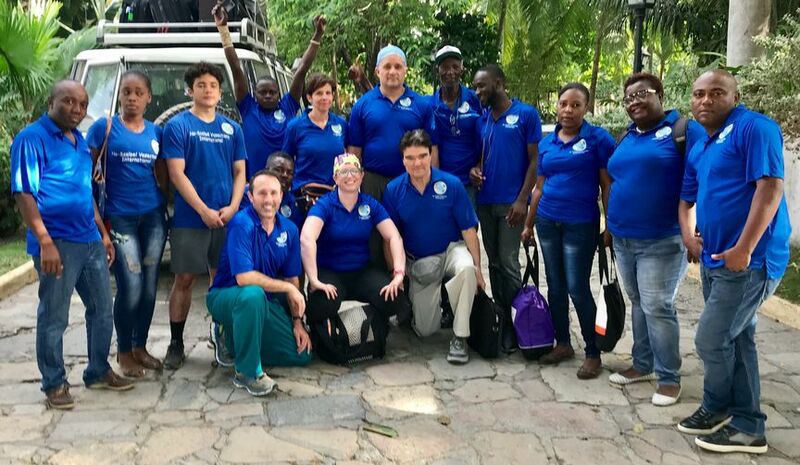 2018 June | No-Scalpel Vasectomy International, Inc.
From June 6 to June 9, NSVI conducted its 16th vasectomy mission in Haiti. 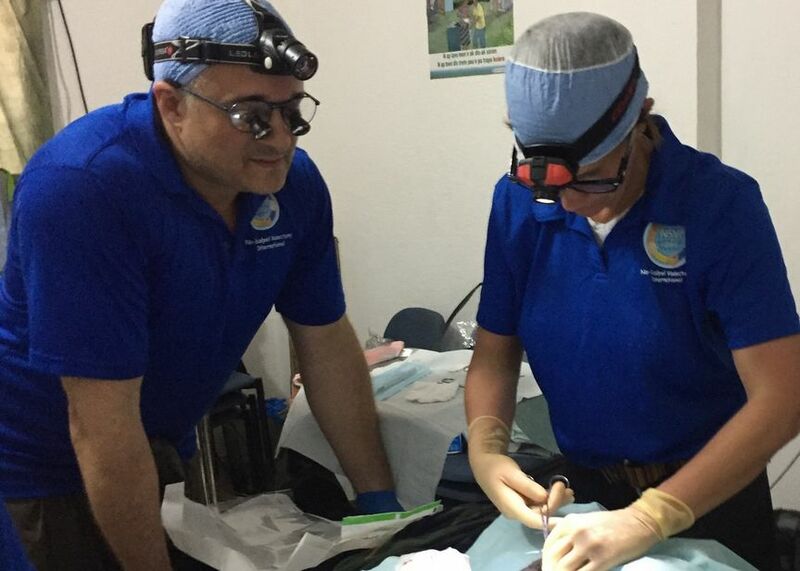 In four days, we provided vasectomies for 130 men (average age 47) who had had a total of 658 children (average 5.1 children per man). 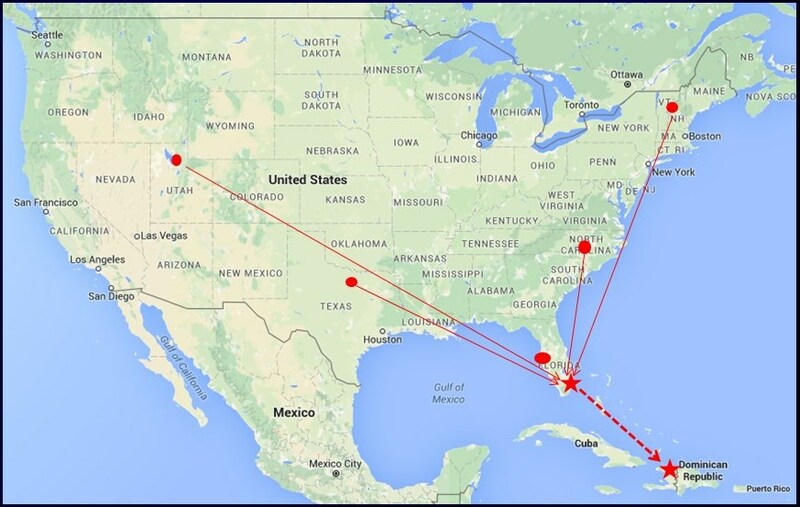 Three of four guest vasectomists from various parts of the USA met in Miami for the final flight to Cap-Haitien. Tim missed his flight from Dallas to Miami and arrived a day late. … thanks to our welcoming hosts. 1. 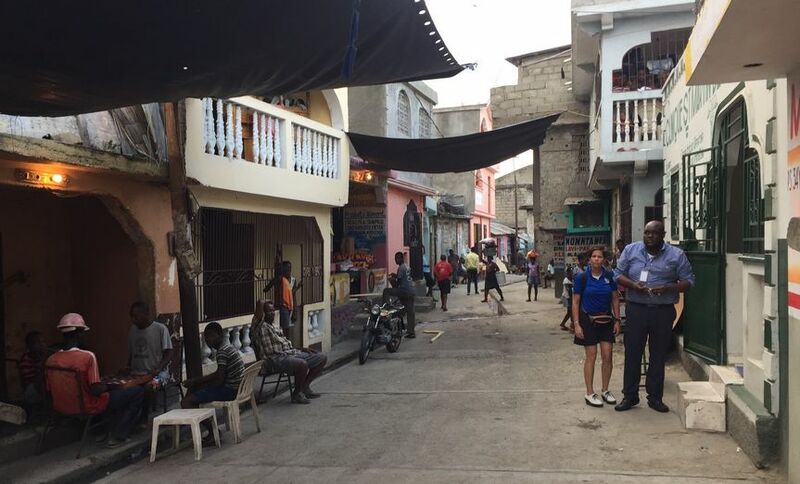 Arrived in Cap Haitien on American Airlines #2732 at 12:28 PM. 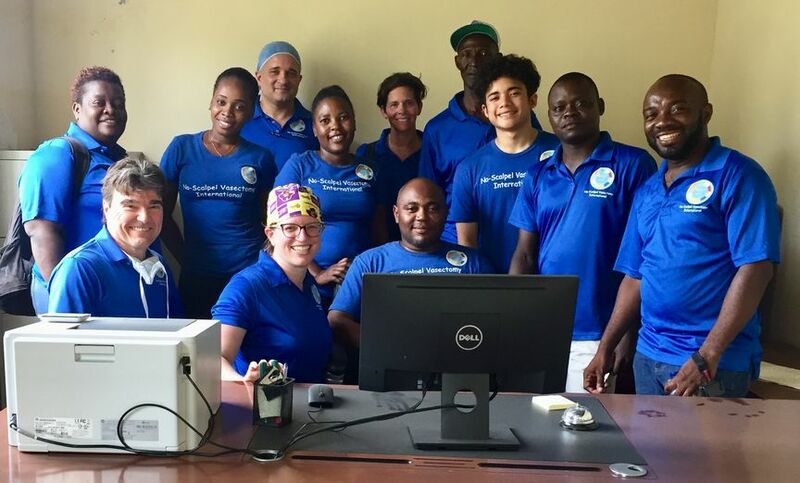 Our Haitian Team had already brought our stored supplies (tables, Mayo stands, and some equipment) from the Cap Haitian Health Network (CHHN) office to Hopital Ft. St. Michel, less than one mile from the airport. There we performed 13 vasectomies. Our Administrative Director Covsky exchanged money so that we could reimburse patients for lost income and transportation costs. 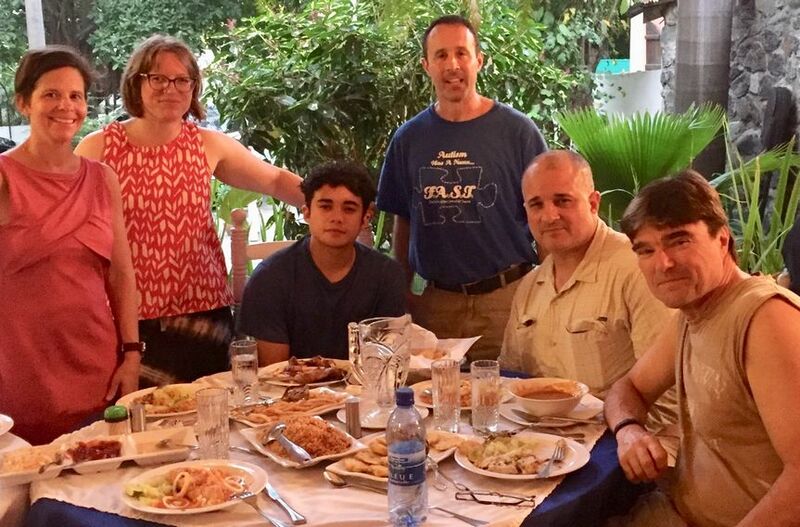 We spent the evening at Hotel Roi Christophe, where we organized supplies to equip two teams. 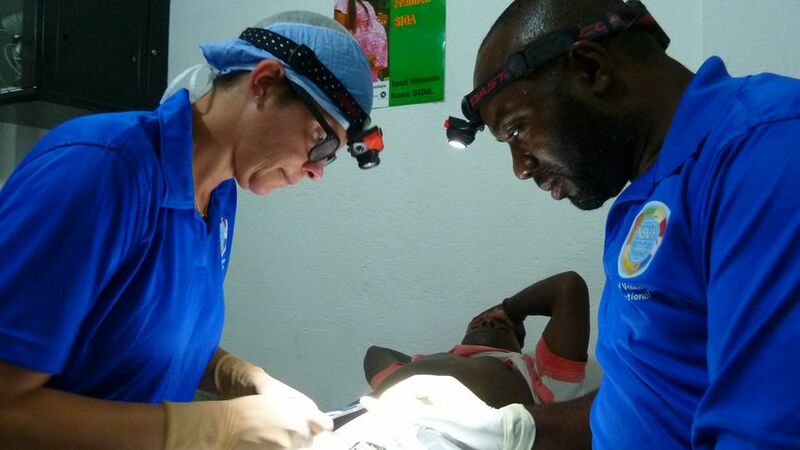 As Team 1, Dr. Monteith went with Dr. Mesadieu, and Dr. Bullock to the ULS Clinic in Ft. Bourgeois to perform 17 vasectomies. 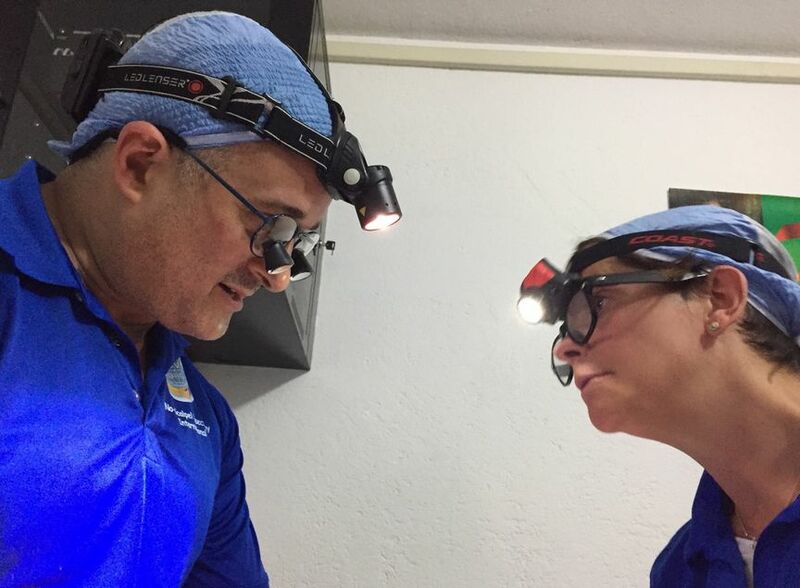 As Team 2, Dr. Stein went with Dr. St-Vil and Dr. Johannensen to the Dugue Clinic (only 4 cases). 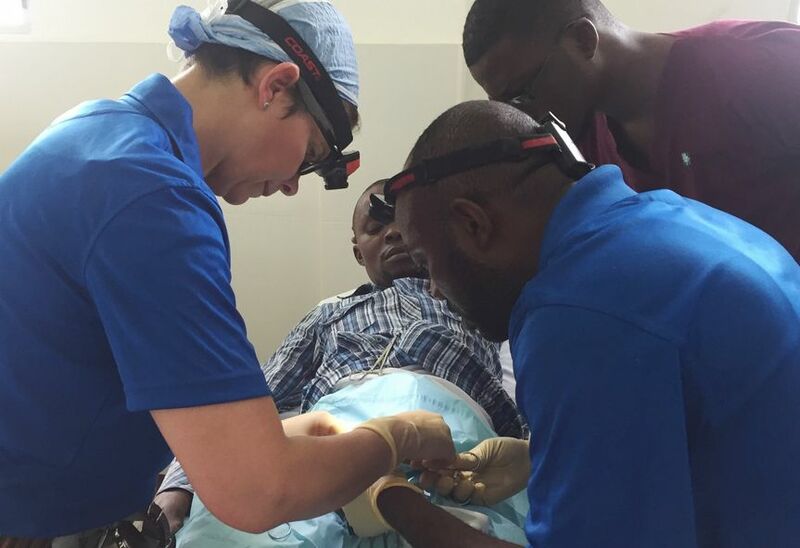 After completing their work there, they went to New Hope Hospital for 3 more procedures. We intended to continue to train Dr. Jonguel Brinvert but he was ill.
We all went to Centre de Sante de Caduch. 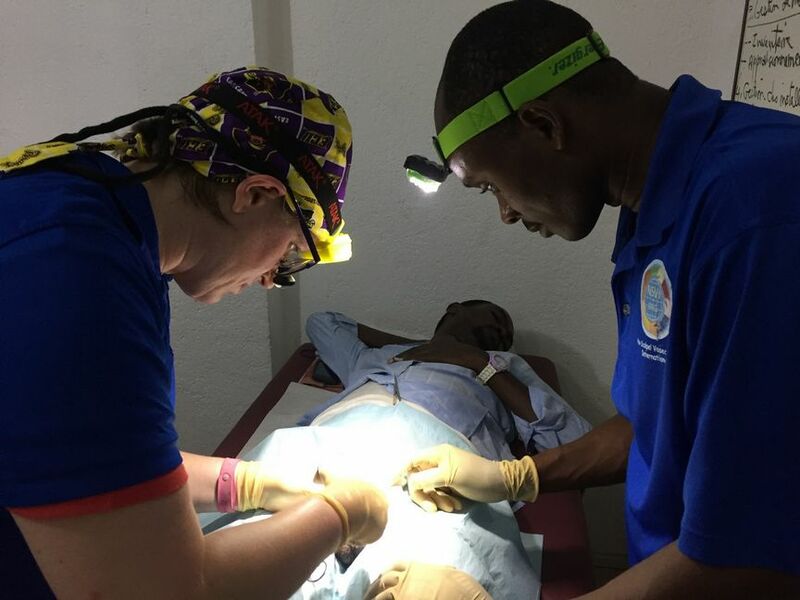 Team 1 stayed to perform 21 vasectomies, while Team 2 went to Clinique Metropolitaine in Limonade and performed 4 vasectomies, two “imported” from Dr. Romel’s Clinique RJP-CRAPS right down the road. 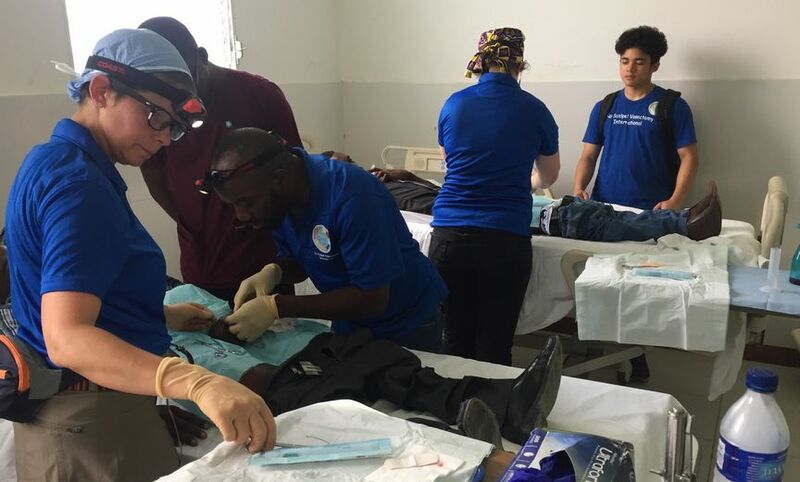 Then we all went to Hopital FSM in Cap Haitien. 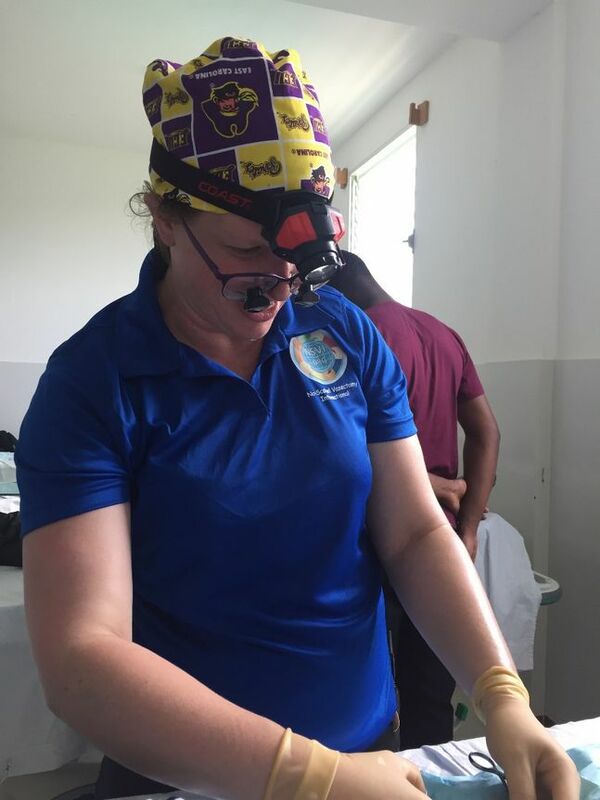 When finished with 34 vasectomies at HFSM, we simply locked the door so we could continue there on Saturday morning without having to set up again. 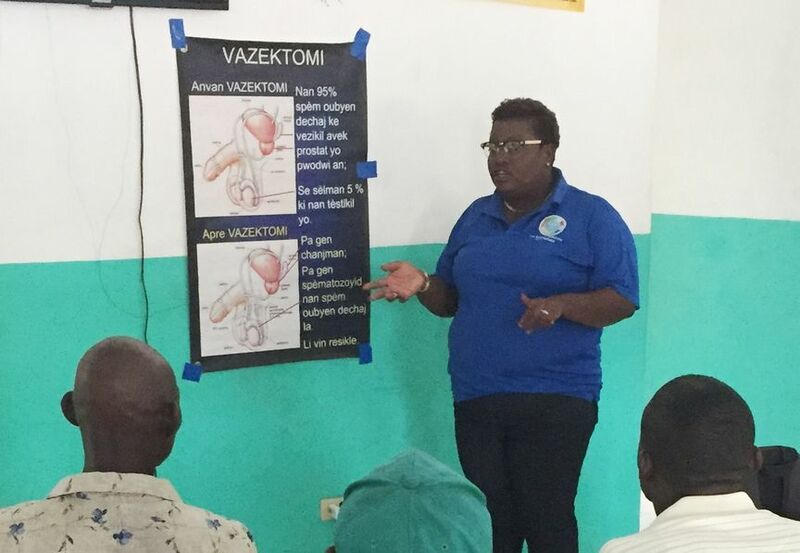 Another 34 vasectomies at HFSM in Cap Haitien until 11:45 AM. 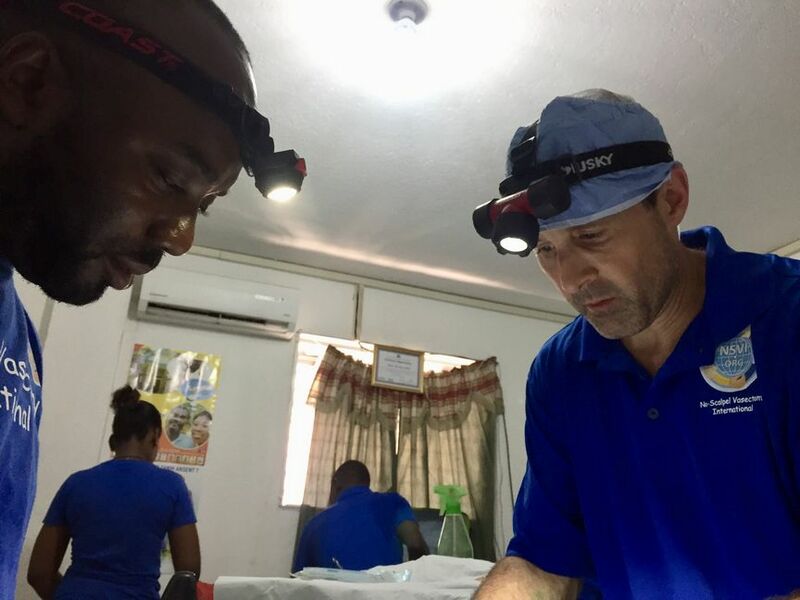 As the other doctors worked, I will paid the staff and organized the remaining supplies into those that stay in Cap-Haitien for the next mission, and those that I bring home to the USA. We departed for the airport at 12:20 to get the 1:29 flight back to Miami. The classic arrival shot. 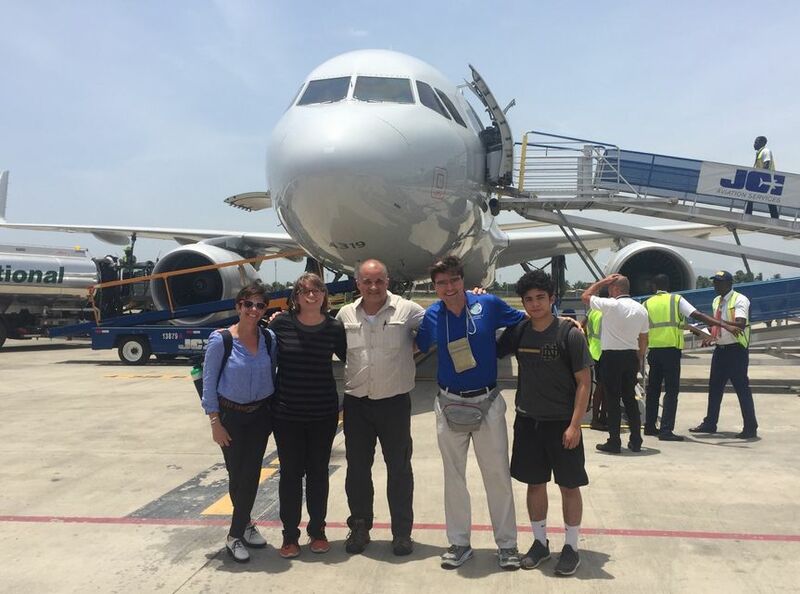 Charles’s son, also “Charles”, joined us once again, the second mission to Haiti for a fine young man learning about the world. First Stop: Hopital Ft. St. Michel. Working within an hour of arrival. Hoping our bags don’t tumble off our main vehicle en route to the hotel. Day 2: New Hope Hospital out in the countryside. … and share techniques and ideas. A lovely facility with lots of light and space. Time to visit Covsky’s office for his other job: lunch food distribution to over 200,000 children (he’s the boss). 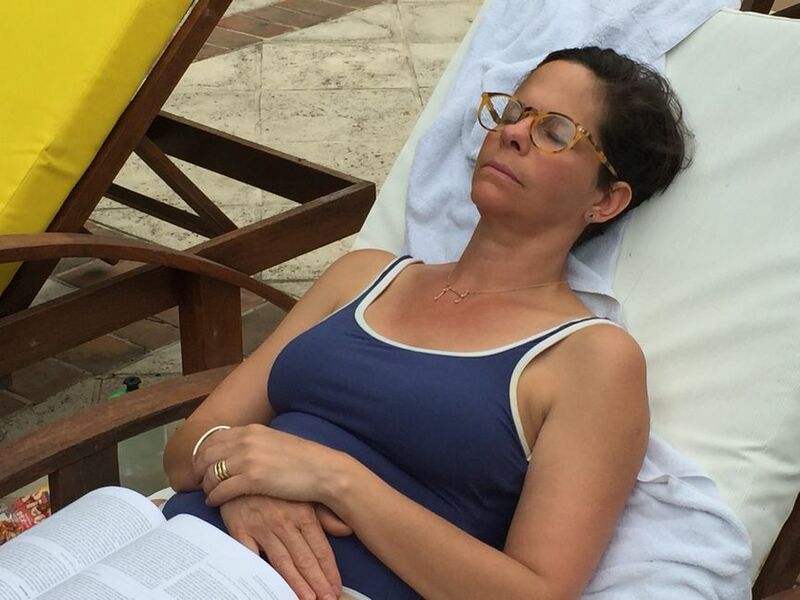 And time for a snooze at the hotel pool to recover from a long journey from New England to Haiti the day before. Then a delightful dinner at the hotel. 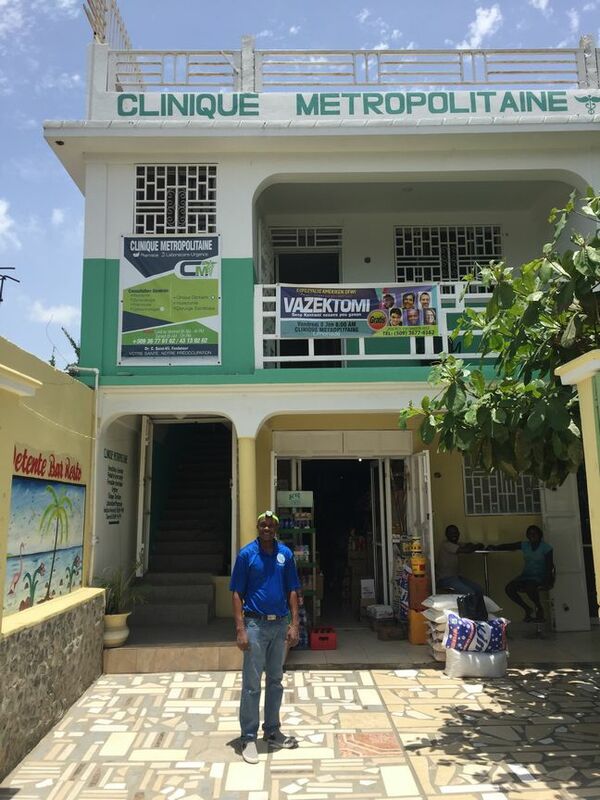 … while Team 2 is greeted by Dr. St-Vil at his new clinic in Limonade. 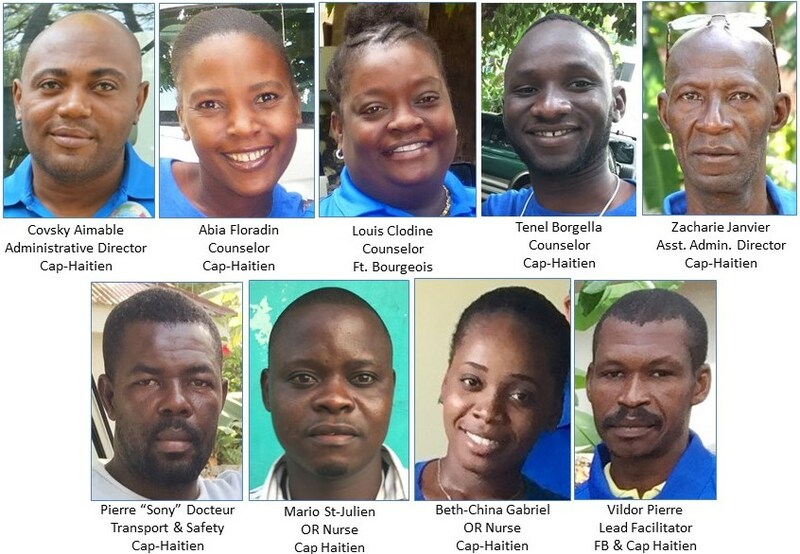 … which we need to care for all 34 patients at Hopital Ft. St. Michel. … and confer for the best solutions. 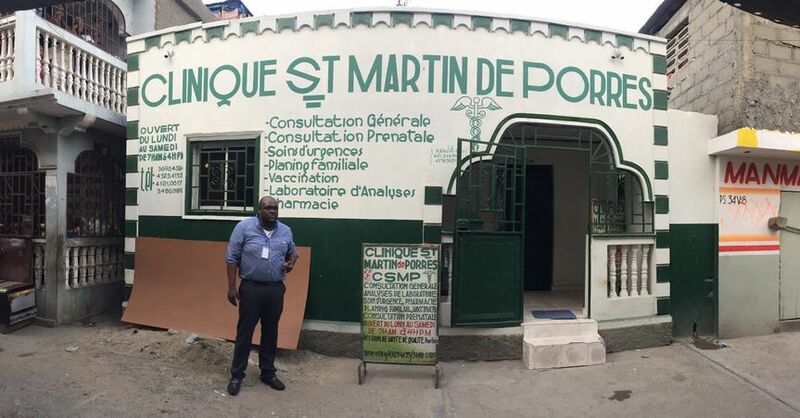 Dr. St. Martin brings us to his private clinic in the heart of Cap-Haitien. No A/C, but probably fine in the cooler months. 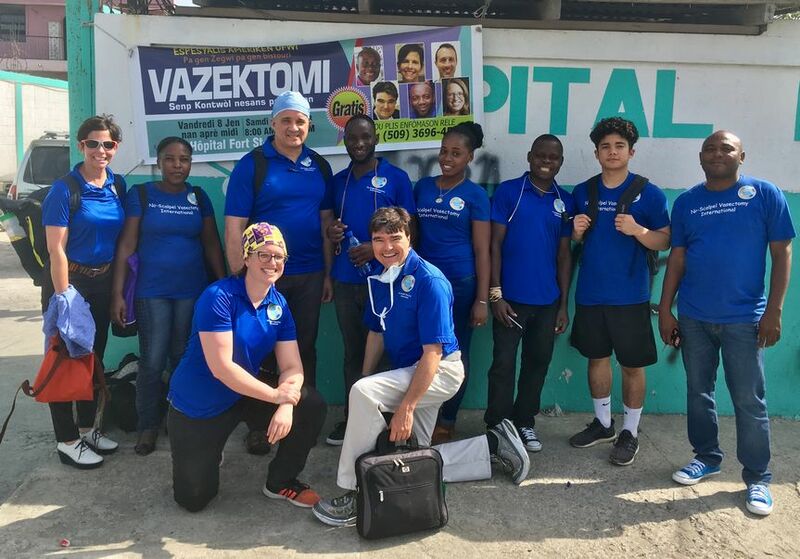 It would be interesting to try an urban community clinic, as we slowly build trust and earn the confidence of the communities in northern Haiti, with our return visits every three months. One last team photo on our final day. 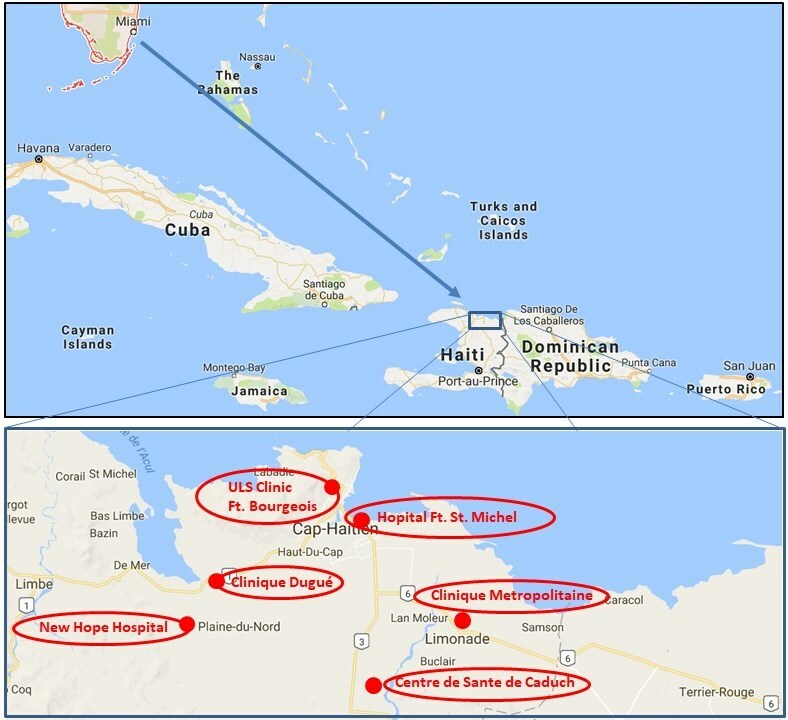 Another 34 vasectomies at Hopital Ft. St. Michel before a noon departure to catch our early-afternoon flight. 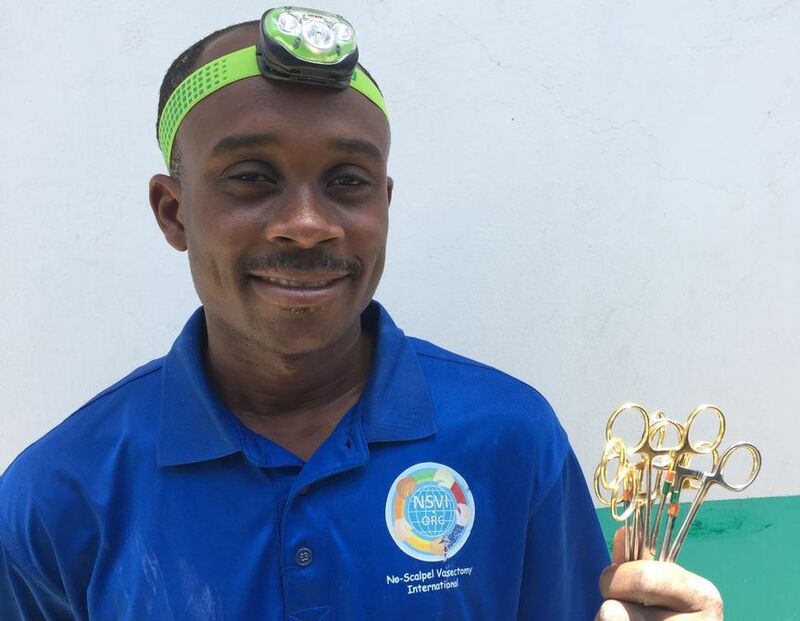 As we divide supplies into those that stay and those that return, Dr. St-Vil accepts a generous donation from Dr. Douglas Jimenez in Santa Rosa, California of three sets of gold-handled NSV instruments. 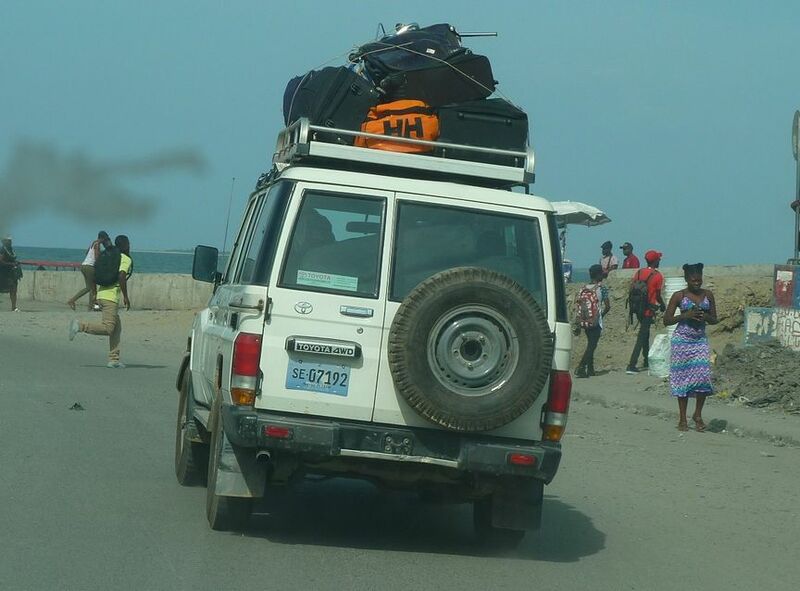 NSVI will return to northern Haiti September 19-22, unless a hurricane threatens Haiti within the week prior to those dates.